The human DNA is a biological internet and superior in many aspects to the artificial one. Russian scientific research directly or indirectly explains phenomena such as clairvoyance, intuition, spontaneous and remote acts of healing, self healing, affirmation techniques, unusual light / auras around people (namely spiritual masters), mind’s influence on weather patterns and much more. In addition, there is evidence for a whole new type of medicine in which DNA can be influenced and reprogrammed by words and frequencies without cutting out and replacing single genes. Only 10% of our DNA is being used for building proteins. It is this subset of DNA that is of interest to western researchers and is being examined and categorized. The other 90% are considered 'junk DNA'. The Russian researchers, however, convinced that nature was not dumb, joined linguists and geneticists in a venture to explore those 90% of 'junk DNA'. Their results, findings and conclusions are simply revolutionary! 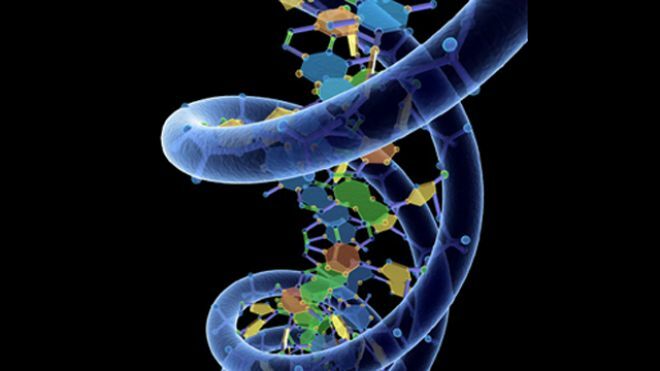 According to them, our DNA is not only responsible for the construction of our body, but also serves as data storage and in communication. The Russian linguists found that the genetic code, especially in the apparently useless 90%, follows the same rules as all our human languages. To this end they compared the rules of syntax (the way in which words are put together to form phrases and sentences), semantics (the study of meaning in language forms) and the basic rules of grammar. They found that the alkalines of our DNA follow a regular grammar and do have set rules, just like our languages. So human languages did not appear coincidentally, but are a reflection of our inherent DNA. The Russian biophysicist and molecular biologist, Pjotr Garjajev and his colleagues, also explored the vibrational behavior of the DNA. [For the sake of brevity I will give only a summary here. For further exploration, please refer to the appendix at the end of this article.] The bottom line was: “Living chromosomes function just like solitonic / holographic computers using the endogenous DNA laser radiation.” This means that they managed, for example, to modulate certain frequency patterns onto a laser ray and with it influenced the DNA frequency and thus the genetic information itself. Since the basic structure of DNA-alkaline pairs, and of language (as explained earlier), are of the same structure, no DNA decoding is necessary.